Ants, ants, ants! It seems like every summer there's always an ant outbreak! They are just so...so...ICKY! First and foremost to get rid of ants is to make sure there is no food or stickiness ANYWHERE. Once that's done, make this super easy ant bait and killer. Put all of the ingredients in a pot and boil on medium heat for 3 minutes to make a syrup. Let the syrup cool just a little bit and pour it in small containers like lids from yogurts or milk jugs. I used small "bathroom" cups that I cut down so it's shallow and easy for the little stinkers to get into. This makes a lot of the bait--too much for our home, but I just poured the rest in a canning jar (I mean, duh. This is me here!) and labeled well that it is TOXIC. 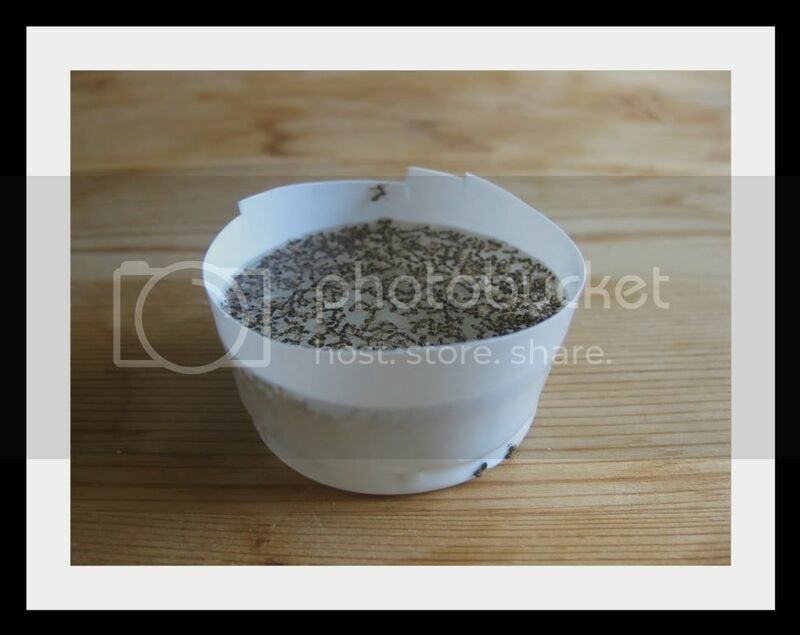 Lay the shallow containers around the house (and away from children and animals) and wait for the ants to SWARM! Let them fill up and take it back to the colony. Within 5 days the ants should be all but GONE! I'm super impatient and grossed out by ants altogether so I change out my bait every day. You can pour this down the drain (Borax isn't THAT bad, just don't eat it, okay?). Best of luck! okay, i think i need a pep talk. we put some of this stuff out. and the ants definitely LOVE it. we only put it out last night and i know you're supposed to wait days. but tell me this is going to work. b/c now we have an even greater number of ants swarming in our kitchen. it's like armies are marching to and from the ice cream bucket lids. how long did it take for yo guys? did it take the full 5 days?